This historical aerial combat between American and North Vietnamese aircrafts was witnessed in the Vietnam war.This dogfight included the strengths and weaknesses of the two most iconic combat aircrafts in the Cold War.These aerial dogfights were mostly fought over the jungles of North Vietnam. The F-4 Phantom II obtained outstanding results in the war and although it had its disadvantages in size,weight and maneuverability when compared with the MIG-17,the F-4 comprehensively defeated the MIG-17 “Fresco” in a series of battles in 1972. 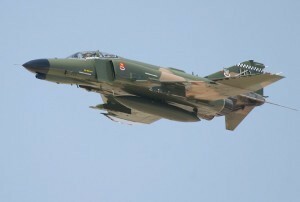 Tactics such as “lag pursuit”(aggressively manoeuvrings the F-4 outside the MIG’S turning circle and using its superior speed to achieve a firing range) gave pilots a real advantage over their opponents.